Bracamontes & Vlasak, P.C., is one of the few California law firms that exclusively represents tenants in its landlord-tenant practice. We do not represent landlords. Our firm partners with Bay Area tenants’ rights organizations to provide diligent and effective legal advocacy to tenants whose housing is in jeopardy. The experienced lawyers of BV Law are familiar with the state laws and city ordinances protecting renters, and available relief through the Rent Board or the courts against unjustified eviction or rent hikes. Our San Francisco landlord-tenant law attorneys are also knowledgeable about civil remedies for tenants who have suffered injury or economic harm from the actions or negligence of landlords. 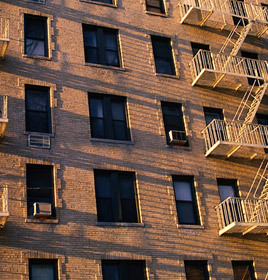 BV Law advocates for residents of apartment complexes and condominiums in San Francisco, Oakland, Berkeley, and other East Bay and Northern California communities. Rent ordinance in other Bay Area cities have similar “just cause” requirements. If you have lived in a residential hotel or SRO (single resident occupancy) in San Francisco for 32 continuous days, you likewise have tenant status under the San Francisco Rent Ordinance, including rent control and the just cause eviction requirement. “Just cause” grounds for recovery of possession by the landlord can be complicated in practice. You should consult the San Francisco landlord-tenant attorneys at BV Law if you believe you are being unjustly evicted. It can seem like landlords hold all the power. At BV Law, we help you exercise your specific rights and remedies to protect your home or hold your landlord accountable for what you have suffered or lost. See our client testimonials and case results for examples of our outstanding representation in the area of landlord-tenant law. Please call 415.835.6777 or contact us online for a free consultation with our Bay Area tenant lawyers.